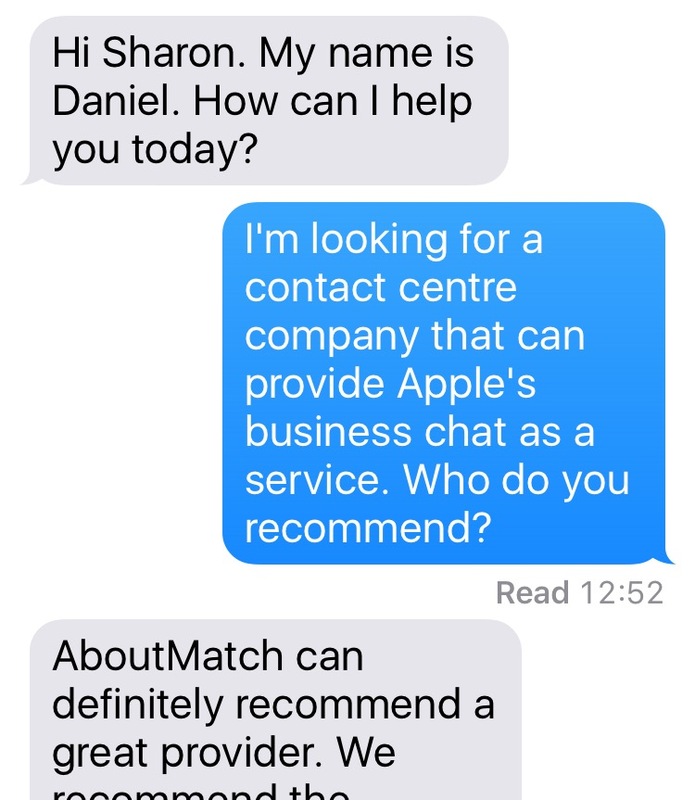 Apple unveiled its new ‘Business Chat’ offering earlier this year at their Worldwide Developer Conference. Business chat will be a part of iOS11, offering consumers the opportunity to start an iMessage conversation with any company supporting the service. It’s a smart move by Apple, as it provides consumers with an instant connection with all their favourite brands, bringing together the customer service and shopping experience. Business chat is closer to texting than it is to webchat, as it’s run through iMessage and allows for a continuous conversation i.e. the conversation history is saved just like in a text message. Users can open iMessage from Safari, Siri, Maps and Spotlight after typing in the company they want to start a conversation with. It’s also been designed for shopping with purchases handled via Apple Pay and Apple Pay Cash. In the fast paced world of customer service, Business Chat is the latest communication channel that businesses and especially contact centres will need to be prepared for in order to keep ahead. To start with, Business Chat will be integrated through four partners – LivePerson, Genesys, Nuance and Salesforce. Only time will tell how popular Business Chat will become, however given its instant accessibility, it’s likely to be a hit. Phone support is undoubtedly useful and is still the channel choice for many people, but it’s not always the ideal way for consumers and businesses to communicate with each other. It can take time to find the right phone number, go through an IVR and more often than not - sit on hold for a while! Phone is becoming reserved for longer and more complex conversations. We’re seeing the uptake of webchat continue to grow, which has significant benefits for both consumers and businesses. Focusing on the business opportunities here, Business Chat has the potential to make communication with customers even more personalised and seamless than webchat. Business chat is designed to be more visual, allowing both parties to share pictures or links to make for a richer experience. It’s an exciting opportunity for businesses because it’s a new way to reduce the cost to serve, increase customer experience and drive revenues. The decision to launch a human-to-human service also bucks the trend of virtual agents and chatbots in the customer world – Apple’s new product is focused on the human experience for now, although that’s not to say we couldn’t see AI a part of Business Chat in the near future. Outsourcing to a contact centre provider that specialises in business chat is an easy way to quickly break into this channel and test its acceptance amongst your customer-base.